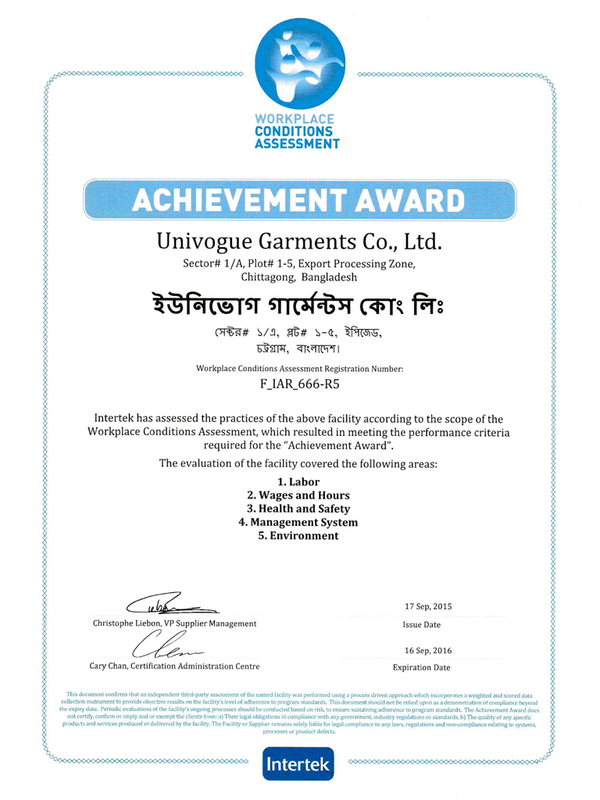 A consistently reliable and innovative apparel supplier, we at Univogue are committed towards providing our customers with a one stop solution for all their apparel needs. Our system ensures that our customers are able to save time and money whilst avoiding the general hassle involved with vendor management. Our sourcing offices and manufacturing centers are based across Asia. With this strategic global positioning, we are empowered with rapid decision making, superior product quality, extensive capacity and timely deliveries. 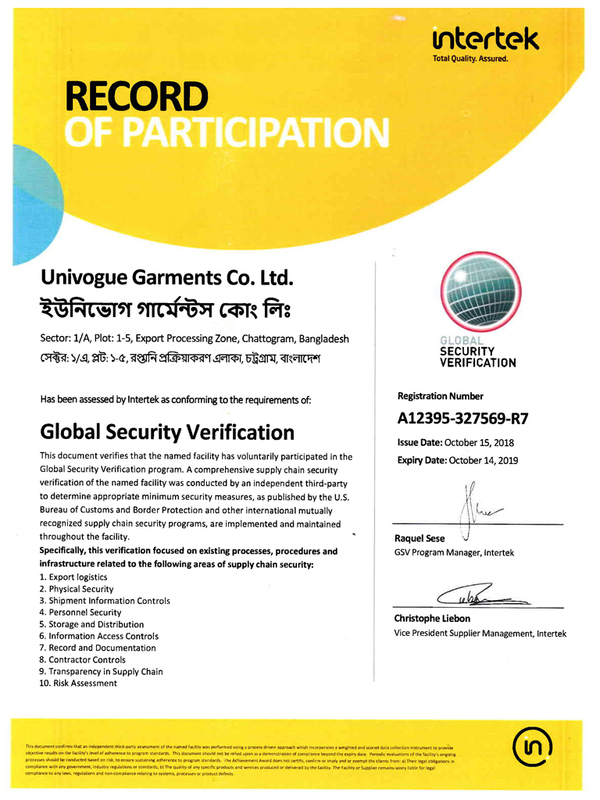 The Univogue Group is well-equipped to handle a variety of fabrics and processes, working closely with recognized suppliers who have impeccable quality records. 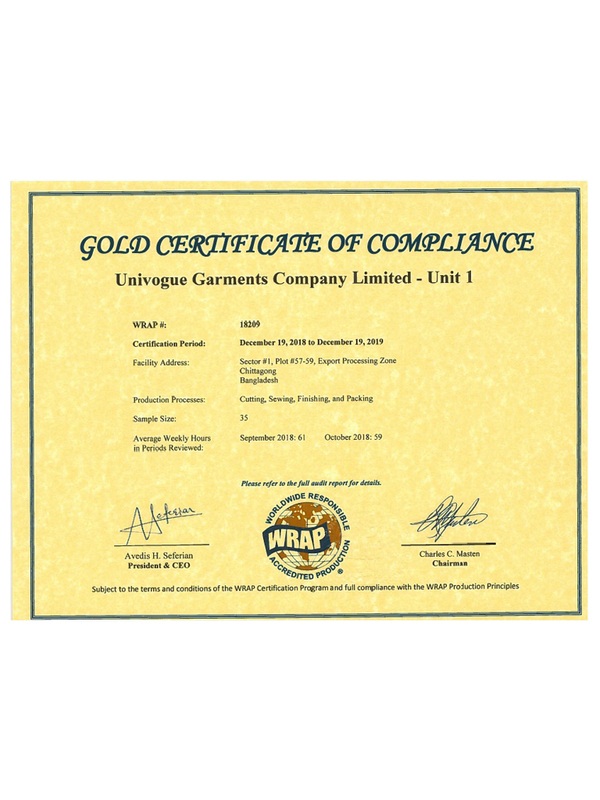 As a result, our range of manufactured woven and knitted apparel for men, women and children earns the approval of some of the world's leading brand owners. 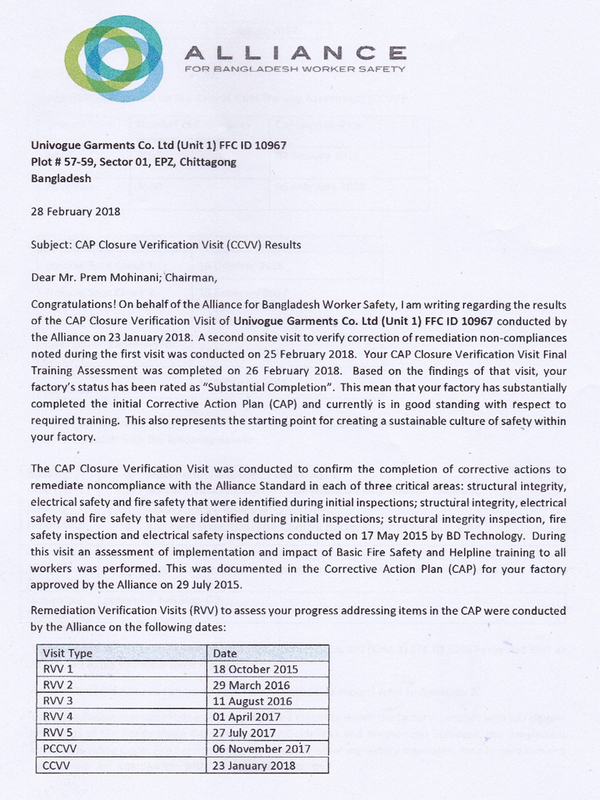 Our manufacturing facilities are located in Bangladesh and Sri Lanka, contributing considerably to local community employment. Each facility specializes in a number of production types and this fosters a process driven quality focus, efficiency to the group's overall structure. 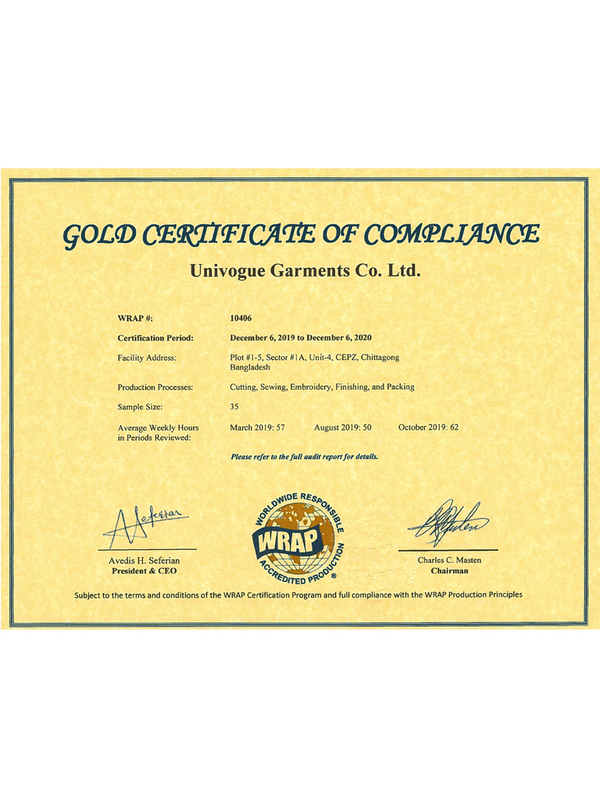 We are passionate about quality at Univogue, a commitment to quality permeates across the entire spectrum of our business. 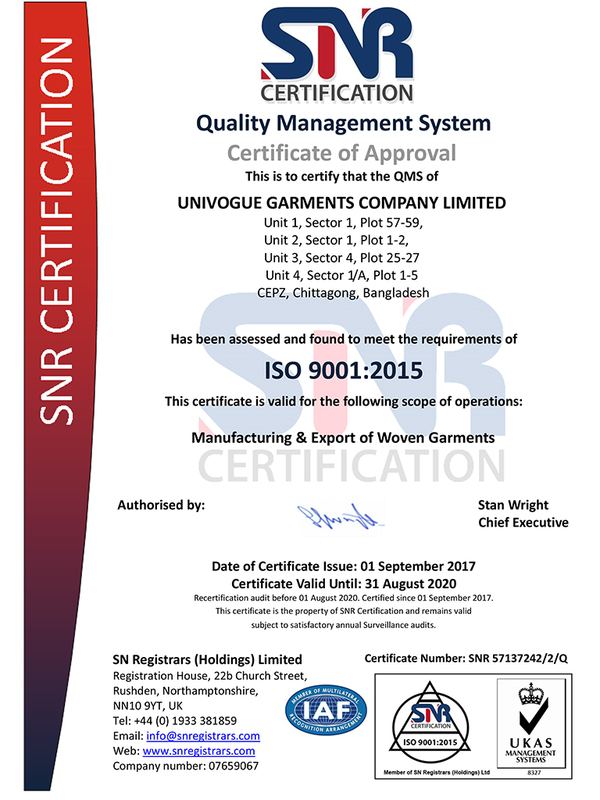 A commitment that ensures our clients receive superior products; the result of the numerous quality systems implemented across the board. 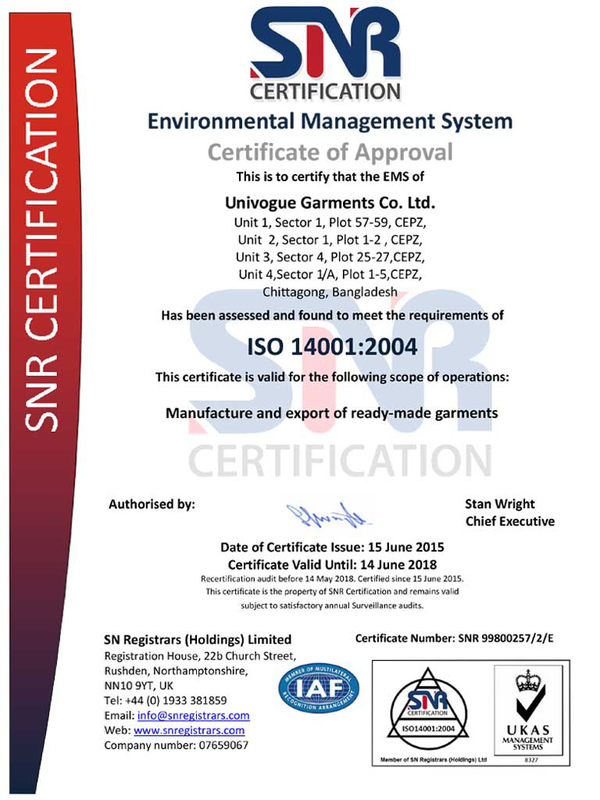 As a treatment to this, the group is also ISO 9001:2015 certified. 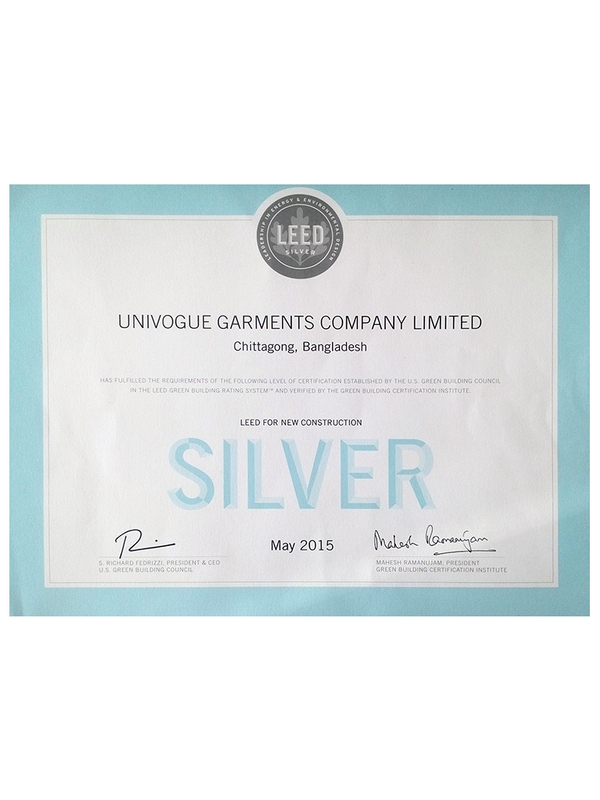 We have the very best that garment technology got to offer. Recent developments have seen the group invest heavily in new technology. This not only broadens out production capabilities massively, but also increases manufacturing efficiency leading to faster and more reliable deliveries and high quality products. Our commitment to our clients begins with our employees. Our employees are our strongest asset. 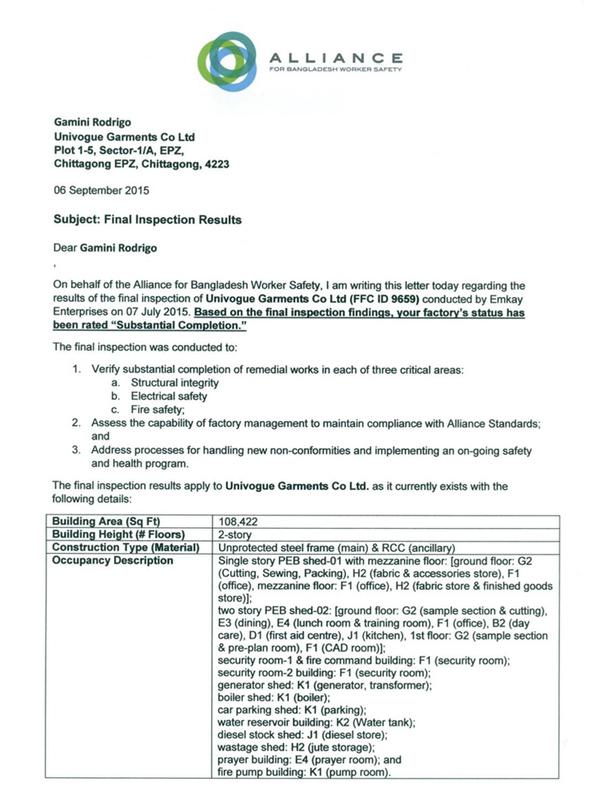 We ensure that the working environments at our facilities are safe, comfortable and productive.